This event was created to bring residents together to reflect, discuss, and plan ways to advance Dr. King’s vision and to support and honor his memory. 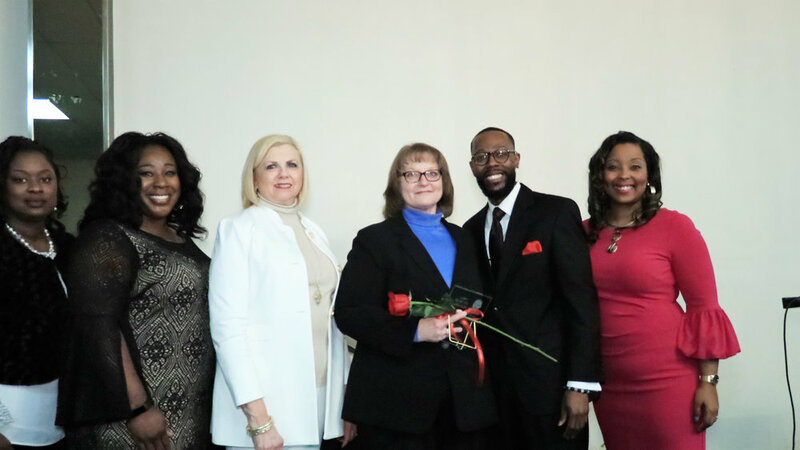 During the event, several citizens received MLK Acts of Kindness awards, including: Karen Rayfield – Community Service Award; Diane Howard – Sudie Jones Community Service Award; Virginia G. Howard – Community Enrichment Award; Tameka Grady –Volunteerism Award; and Pastor Anthony Marquette Nelson – Drum Major/Spirit Award. Receiving the Community Involvement Awards were Ty Ross, Beth Pesek and Kristie Wright.